You can download my free cheat sheet that will remind you how to treat each of these different types of echolalia. Click the button below to download. Click Here For Your Free Echolalia Cheat Sheet! Echolalia is the term used to describe when a child repeats or imitates what someone else has said. For example, if you ask the child “Do you want a cookie?”, the child says “cookie” instead of “yes”. There is also a type of echolalia called “delayed echolalia” which is when the child repeats something he has heard before even though he did not just hear it. For example, a child may repeat a line from a favorite movie even though that movie is not playing currently. Echolalia, or repeating what is heard, is a very normal part of language development. Children that are learning to speak use this constantly. If I ask my 1-yr-old son if he wants a bath (one of his favorite activities), he will consistently say “baa” (he’s still working on final consonants). He doesn’t say “yes” yet, he just repeats the last word of the question. Children learn to use language by repeating what they hear around them. Then, as their language skills increase, they start making up their own utterances more and you see the use of echoing or repeating decline. However, some children don’t move past this echolalia stage. Some children will only repeat what others have said and very rarely come up with their own thoughts or sentences. Some children don’t speak at all unless it is a movie script or tv script that they have heard before. This type of echolalia is not part of typical development and could indicate that the child is having trouble learning to use language. Children between the ages of 1-2 years should be echoing or imitating you a lot. That’s how they are learning. However, by age two you should see them begin using their own utterances as well. You may see them continuing to imitate you or use echolalia when you ask a complex question or when you’re giving directions but they should also be using a lot of their own utterances as well. A 2-year-old shouldn’t be only using imitated speech to talk. By three years of age, you should see pretty minimal echolalia. 3-year-olds should be creating their own simple sentences to communicate with the world around them. You may still see a little echolalia here and there but the child’s speech should be predominantly their own thoughts. Delayed echolalia (such as quoting movies or tv shows) is used by many children but relying on it too heavily can be a problem. You may hear movie lines or tv show quotes as your preschooler plays because he is acting out and rehearsing certain scenes that he liked. That’s ok! However, if your preschooler seems to be stuck on one scene or quote and repeats it over and over again, there may be a problem. Now, obviously there’s nothing wrong with a kid getting SUPER excited about a certain new movie and focusing a lot of his conversations on it for a while, but it should fade as the novelty wears off. For example, there are a lot of little girls running around singing “Let it Go” from the movie Frozen right now but I wouldn’t say they have a language problem. But if a child is always quoting or scripting something or if the child doesn’t have much other language that he uses aside from these scripts, then there may be an underlying language problem. Treatment for echolalia is not as easy as it seems. That’s because echolalia can serve a lot of different purposes. 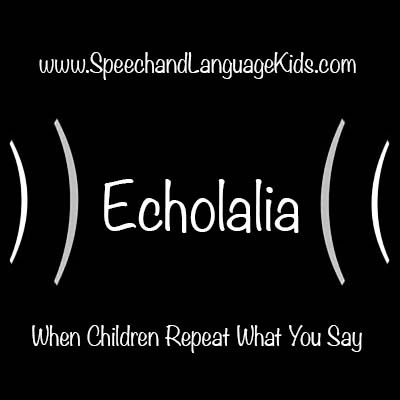 In order to treat echolalia correctly, you need to know why the child is repeating or echoing. If it is because he doesn’t know the correct language to use, you will treat it differently than if it’s because he finds it soothing to repeat familiar movie lines. For that reason, I highly recommend that echolalia be treated by a licensed speech-language pathologist who can tease out exactly why the echolalia is being used. That being said, here are some strategies that will help you reduce a child’s use of echolalia either in therapy or in conjunction with therapy. The most common reason that I see children using echolalia is because they don’t have strong enough language skills to know what to say instead. This is the same reason my 1-yr-old is using echolalia. He doesn’t know what he should say so he just repeats me. This is not a problem for my 1-yr-old because it’s still appropriate for him to be in that stage of development. But if you have an older child who is using echolalia, he may need some therapy to increase his other language skills so he relies less on the echolalia. If this is the case, I generally don’t “treat” the echolalia specifically. Instead, I treat the language delays. I look at which language skills the child is missing and teach those instead. For example, if the child doesn’t know enough words to be able to spontaneously use them to request, answer, etc., I will work on building that child’s vocabulary skills. If the child is echoing when answering questions, I will look to see if the child knows how to answer questions at all. If not, then we will work on this skill. Basically, I’ll work on whatever skills the child is missing and hope that the echolalia decreases as the child’s other language skills increase. If it doesn’t, then I’ll address it more specifically after we have those other skills in place. Have you ever had a young child come up to you and say “hold you” or ask you if you want to sit on his lap? Chances are he means that he wants you to hold him or he wants to sit on your lap, but he’s just echoing what he’s heard other say (Do you want me to hold you? or Do you want to sit on my lap?). If you are working with a child who is doing delayed echolalia with entire phrases or sentences that you have said to him, you can correct this by modeling the correct sentence for him to repeat it. For example, if the child comes up to you and says “hold you?”. You can say “Will you hold me?” and encourage the child to repeat it back to you. After you’ve done this for a while, you can start to respond to what your child says so he knows that it doesn’t make sense. For example, if he says “do you want a cookie?” when he means “I want a cookie”, you can say “No, I don’t want a cookie but you do. Say, ‘I want a cookie’.” This will start to bring awareness to the fact that what your child is saying is not the same as what he means. Choose one question type (like “do you want it?” or “what’s this?”) to address at first. Ask the question and then immediately say the answer with a single word (without pausing). It sounds like this “Do you want it? Yes.” Ideally, the child will just imitate the “yes” part of it. If not, encourage the child to imitate “yes” (or whatever the answer is). Keep doing this until the child is consistently repeating just the one-word answer. Ask the question again but now just say the first sound of the answer, like this: “Do you want it? Yyyy-“. Encourage the child to say the word “yes” by getting her started with the first sound. If you have to say the whole word with her a few times, that’s ok, but hold out the first sound until she starts it. Keep doing this until she is consistently saying the answer after you give her the first sound. Ask the question again but now just mouth the first sound but don’t say it out loud. You should just look like you’re about to say it. Direct the child’s attention to your mouth by pointing so she sees you starting to say the sound. Encourage the child to say the word after you mouth the first sound. Keep doing this but gradually fade the amount that you’re mouthing the sound until she will just say the answer without you needing to mouth it at all. Once she’s mastered one question form, start over again with a different question. Keep doing this until you’ve taught a variety of questions and she starts answering them spontaneously without using echolalia. If that doesn’t fix the problem after several tries, then you can go back to the numbered steps above and use the same type of cuing system. For example, you would say “What does a puppy say? Woof woof.” Then, try to jump in and say “woof woof” again after he says it but before he can go on to say “good job”. It may take a while for him to get used to not saying the whole thing so just keep trying this and eventually it should fade out. Some children use echolalia because they find it comforting. We call this self-stimulatory because they are finding ways to provide themselves with stimulation that makes them feel good. Some children flap their hands or rock back and forth as a self-stimulatory behavior. We call this “stimming” for short. There are also children who use echolalia as a form of stimming. I often see this from children when they are stressed out because they find their movie scripts or tv show scripts to be comforting because they are predictable. If a child doesn’t understand the world around him or why something is happening, he may prefer to do something that he is familiar with and that is predictable, like reciting an entire movie for memory. It’s comforting to him because he knows that movie script will always sound the same no matter what. Other children may use this delayed echolalia as a self-stim because they are bored or are not tuned into the world around them so they retreat into their own world where Frozen is playing non-stop in their head and they can just tap into that and recite the character’s lines for entertainment. Keep in mind that this is a pleasurable activity that the child enjoys and there’s nothing wrong with that. The child should be allowed to have some time during his day to use this echolalia as down time, just like you would allow a boy who loves playing ball some time to play with his basketball outside for some down time. However, there are certain times when it is not OK for a child to be using echolalia. This may be while the child is in class and the teacher is talking, or when the child is in a quiet location like the library or at church. It is not fair to exclude a child from these situations because he doesn’t know how to stop using echolalia so it can be important to stop the echolalia. The key to stopping echolalia that is self-stimulatory is to figure out why it’s happening. If the child is stimming with echolalia because he is stressed out, see if you can find alternative ways to de-stress the child. This may include reading him a social story about what’s going on around him or teaching him some calming strategies that will help him self-soothe in a quieter manner. If the child is using echolalia because he is bored or tuned out, it may be helpful to remind him to tune back in. For example, if he’s quoting movie scripts during class time, you could have an adult sitting next to him reminding him to focus on the teacher. Or, the teacher could frequently ask the child questions about what she is talking about to focus his attention back on her. You could also give the child a small fidget toy that will allow him to move his hands so he can focus on the teacher better. If the child doesn’t realize that he is using echolalia but is just doing it out of habit, you may need to teach the child rules about when it is ok to be talking and when it is not ok to talk. Then, have the teacher gently remind him of those rules when he is talking during a “no talk” time. 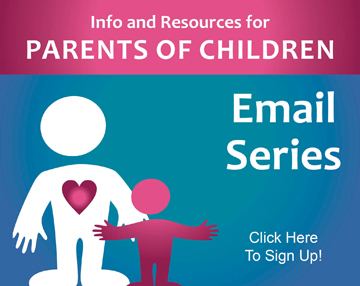 Bringing his awareness to this and setting limits or rules may be enough to keep the child on track. What a fun topic to discuss. I enjoy when my students use echolalia because the words may not be appropriate but they know it’s their turn in the conversation and they have to say something. They are also constantly absorbing new words using echolalia! Giving them a choice between a highly preferred activity and a non-preferred activity usually works too, like “do you want the chocolate chip cookie or the straw?” You know they will pick the cookie! Thanks for sharing your expertise. You are welcome! Glad to see you are using echolalia to expand language skills! Hi, I’m student of M.A. in TFEL. When I’m working with children of four to seven years old, they Imitate my sentence. For example, I ask them how are you? they repeat it. Yes, that is a good example of echolalia. You just completely described my child. Great article. This is the BEST description on this topic I have read! It’s very thorough. I have a son with autism whose spontaneous speech decreased after being incorrectly placed in a class but his echolalia increased significantly! Prior to the increase, his echolalia was quite minimal. There were probably two words he was sure to repeat and they were related to questions. Now, he repeats EVERYTHING all the time…as if he’s not thinking anymore. He also seems to speak really fast and blurt out wrong answers, then corrects himself. I have never heard of echolalia being a stimulatory behavior or comfort behavior before but it makes perfect sense! I think he’s comforting himself. I believe he’s stressed out and overwhelmed at school. When he gets home he goes straight to his t.v. and although he’s a die hard Veggietales fan, he’s been in Veggietale world a lot more lately…constantly repeating scripts. So thank you for this description. It was very helpful. I will definitely download the checklist! My 3 year old daughter echo’s… She has a speech delay & works with a therapist. She echo’s sometimes and other times she doesn’t… I’m so confused by this… for example, I ask: Is the turtle green? Her response is: Green instead of Yes. But if I ask her, Do you want a cookie, her response is: I want a cookie instead of Yes. Also, her favorite book is Madeline, she knows almost every line of the book and always finishes the sentence with me. Is this echoing too? Hello there! Finishing lines in familiar books is a very common practice for all children (including those without speech problems). That’s a great pre-reading skill to have! It is not considered echoing. The other echoing is likely happening because your daughter is still trying to learn what are the appropriate responses for different questions. 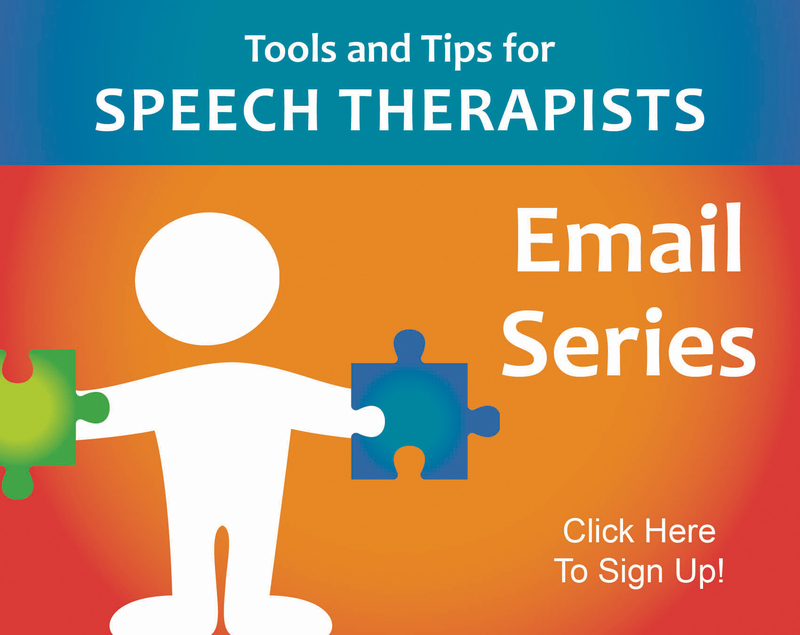 Keep working with your speech therapist to teach her how to answer questions appropriately. If the echoing remains after that, then you can address it head on but teaching questions may reduce the echoing on its own. Hello, sorry that I might not have found the right place to post this questions but didn’t know where to post it. My son is 5 years old and lately when he talks he would repeat the last letter of the last words of the sentence that he was saying, for example: “Mommy did you see that truck.k.k.k…” so he repeats the very last letter of the very last word. I asked him why he did that he said I didn’t say that, seems like he is not noticing it. Would you please help, why is this happening and is it something that I have to worry about? Hi Erin, am facing similar issues with my 4 yr old boy, may I know how is your son doing now? am really worried for my son and looking for some guidance and support on how you worked out and what’sthe current situation at your side. Very informative article. Thank you!!. My 3 1/2 year old uses immediate and delayed echolalia but also has a lot of functional, original speech. He is in speech therapy for his delay and has been improving. My question is, at what age does echolalia usually go away? Also, does it occur in kids who aren’t on the spectrum? He has no other red flags but everything I read about echolalia associates it with autism. Thank you! It definitely does happen with children who aren’t on the spectrum and it sticks around later in kiddos with speech and language delays so I can’t give you an exact age. As long as it continues to decrease as your son’s speech improves, you should be ok! Thank you! Very reassuring to hear that 🙂 I’ve googled this so much and your site is by far the most useful information I have found! What a fantastic and informative article! My son is 3 1/2 and sees a speech therapist every week for expressive speech delay. I never had a name to put to this ‘echoing’ that he does all the time. He does both immediate and delayed echolalia, but this article gives me some great tips on how to work on it at home while his therapist helps him too. That’s great! That’s what I was hoping to provide. Let me know if you have any questions! This was very informative. My son is 3 1/2 and has developmental delays and also an ASD. His speech it EXTREMELY echolaic. He will even repeat books I’m their entirety after hearing them once. For a long time he repeated in a very robotic fashion but is much more expressive when he echos. He also mixes and matches different lines and scenes from movies and books to create stories on the fly and incorporates toys and household items to tell his new story. It’s actually an amazing thing to behold. It is so fascinating how all children learn to use language in their own way! It sounds like your son has found a way that is working for him! Thanks so much for some great ideas! I am a new SLP (just finishing up my 1st year) and have always been a little stumped by IEP goals to decrease echolalic speech. This has given me a place to start! My 3 year old (almost 4) does this when I ask complex questions (what did you do today? How was your day?). He used to do it any time I asked him a question such as do you want pizza? He will say pizza. He still does that sometimes but he has started to answer such questions with a “yes” or “no” answer. However, given his age I decided to take him to a speech pathologist who suggested we get him evaluated to rule out autism. Other than the fact that I think he sometimes does not understand my questions, given that he just repeats the last word, I was not concern about autism. Do you ever see kids this age that just have language development delays and are not in the spectrum? He is attending an early education center 3 days a week for 2 hours. His language has significantly increase but I would like to know if there is any other therapy that I should have him signed up for. What do you recommend. Hello! Echolalia DEFINITELY occurs in kiddos with language problems who are not on the spectrum. Most therapists just like to rule out autism before beginning though because echolalia almost always does come along with autism so your therapist is probably just trying to cover all of her bases. As for other therapies, I would not be able to tell you what he needs since I haven’t met him. 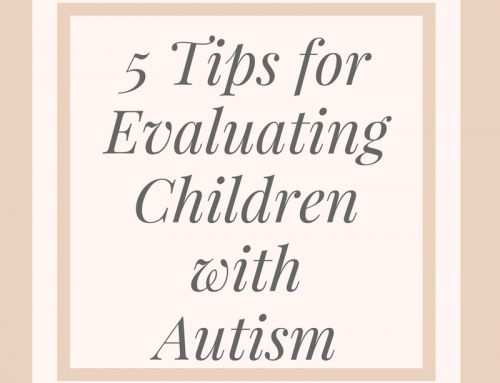 A full evaluation through your local public schools (which would be free) would tell you if he also has any problems with motor development, cognitive development, or social-emotional development that would need to be treated by other therapists. As for the language stuff though, a speech-language pathologist is all you need unless she recommends something else. Thank you so much for this information!!! I cannot count the nights looking for suggestions and activities in order to help my child. At school the teacher suggests to stop talking to him in Spanish and focus just in English. What do you recommend. So confused about this… Also I would like to mention that I was also a late talker and in my family pretty much everyone we were late talkers whom we received speech therapy, could it be genetic? Hi! If a child always sounds hoarse, that is a good reason to get checked by an ear-nose-throat (ENT) doctor. Speech-language pathologists can’t diagnose the cause of hoarse voice because we don’t have the equipment to look at the vocal cords to find out what’s going on. An ENT can do that though. Talk to your child’s pediatrician and they can refer you to a good ENT in your area. Hi there! There are definitely some genetic links with language delays so there could be a genetic component of your son’s delayed speech. 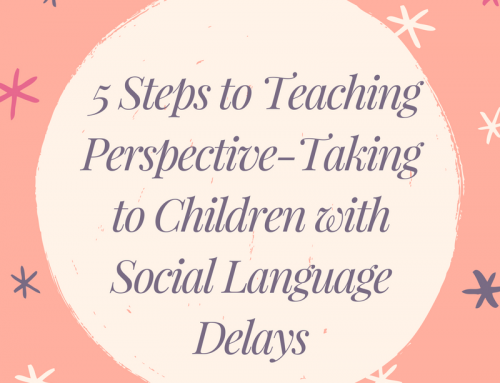 Based on our current knowledge of how children learn language, we generally recommend that parents speak their native language at home even if the child does have a language delay. We would rather the child hear a language being spoken well (native language) than hear the parents speak English if they are not perfectly fluent in it. It sounds like your English is pretty good based on your writing but other family members may not have perfect English. Also, if you stop speaking Spanish at home, he may not be able to communicate later on with extended family that only speak Spanish. We don’t want him to be cut off from his family either. So, our recommendations are generally for the family to keep speaking their native language at home and let the child get English at school. This ensures that the child always hears good language models around him. It may take him slightly longer to learn both languages but there’s no reason to believe that he won’t learn them because both are being used. I hope this info helps you! Thank you very much for replying my concerns! It really helps!!! We will put in practice ALL the information you have given us! That’s great! I’m so glad it’s helping!! Our child has delayed Echolalia but no other issues…should we be concerned…is speech therapy enough? Hi! Unfortunately, I don’t know your child so I can’t say for sure if there is cause for concern. If you are concerned, I would recommend you seek the advice of a speech-language pathologist that can meet with your child in person and evaluate the risk. Please provide more detail on when is “reciting scripts” from TV shows normal, and when is it not. My 32 month old has started to “perform” some short recitals, usually with public. We can hear let’s say when he is paying with water colors and he sees red “look, a red car. The red car is going down the slide. Then the yellow car comes after. We gonna go red”. This comes from Max the glow train for learning colors. He can use functionally language for requesting, commenting, asking questions, etc Not conversational yet, but capable of 4-5 turn exchanges on some favorite topics (looking at a book and responding to questions). Hi, Julieta! I’m sorry to hear you’re concerned about your son! Unfortunately, since I don’t know your son, I can’t say for sure whether his reciting scripts is normal or something to worry about. I would have to do a full evaluation on him to know for sure. I suggest that if you are concerned you speak to your child’s doctor. He/She will know your child’s full developmental history, which will allow him/her to guide you in deciding if it is normal or not. Good luck! My 4-yr-old granddaughter knew a few words, but stopped talking when her twin brother & sister were born when she was almost 2. She loves to speak in her own language. She is now 4 and going to a school for children with special needs. She is learning words that she speaks at home, not always clearly. The other day I was talking about her family and asked, “What is your name?” She said, “What is your name?” I said, “Your name is Emily.” She said, “Your name is Emily.” Then I pointed to her and said “Your name is Emily.” She pointed to me and said, “Your name is Emily.” Please tell me what is going on. By the way, her sentences are not completely understandable. It sounds like you’re describing some echolalia there. This post that you commented on is a great resource for that. 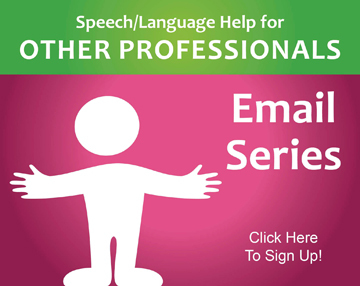 Just check out the section on using echolalia to answer questions! when they grow up, will they eventually get over this phase? Many children outgrow speech and language problems and many need speech therapy to overcome it. Some children continue to struggle with speech and language their whole lives. A speech-language pathologist who has worked directly with your child will be able to give you a better idea of the likely outlook for your child’s specific problems. I had the state come out and do an early intervention assessment and my 2 year old daughter who is clearly echolalic to me did not qualify. They encouraged me to get her assessed by a developmental pediatrician. My concern is that the appointment is not for 6 months, and I want to get her the help she needs as soon as possible. Should I seek out a speech pathologist on my own and have her reassessed? Hi there! I would definitely seek out your own speech-language pathology evaluation if you’re concerned. Often, the state programs have VERY strict qualification standards, which means you have to be REALLY, REALLY delayed in order to qualify. That’s how they keep their services free or very cheap. Your child may still have a problem and not score low enough to qualify for their program. Good luck! You definitely need to seek help from your child’s doctor! It could be that you need to speak with a speech-language therapist in your area. Your child’s doctor will know who you need to talk to. I can only give general resources online since I’ve never met your child. Good luck!! My mild ASD 39 month son has moved past the immediate echolalia stage, and is capable of responding to many Wh questions, and to generate functional language. But he is scripting one particular book, or singing songs when he is very anxious in social situations (dr office) or when he is bored. is there any language learning in delayed echolalia/scripting like that? Do kids with ASD stop scripting as a stim or this is mostly part of the picture for a long time? Every child with autism is very different so there’s no way to say for sure if it will go away or not. Just keep working with him and allow him some times to do the scripting in a safe environment, he may still need it emotionally for a while. Hello I’m writing to you all the way from Denmark. I have a five year old who is still using a lot of echolalia. She has improved a lot in her speech lately and has not been diagnosed. Do you recommend anybody here in Denmark who are familiar with this and that we could seek help from? Should we stop letting her watch cartoons and play games? First of all, let me tell you how cool I think it is that he is able to express himself through music! Yes, technically, that would be a form of echolalia. But it sounds like he is using this as a functional way to express himself and he still has appropriate language skills on top of that. In this situation, I would consider this to be a difference, not a disorder. I feel that we as a society get very caught up in what kids SHOULD be doing that we forget that sometimes a difference is just a difference and not something that needs to be fixed. This is a beautiful example of a difference. Your son has been blessed with a gift of music that will serve him well in life if he embraces it and comes to view it as a strength and not a weakness. Thanks for this great info, i am searching thru Web because my daughter 4 y.o. is repeating every questions my wife and I asked her, I had never thought of this child behaviour until I read your article about Echolalia, I will definitely save the checklist and follow those step. Thanks a lot! I’m so sorry you’re having trouble! 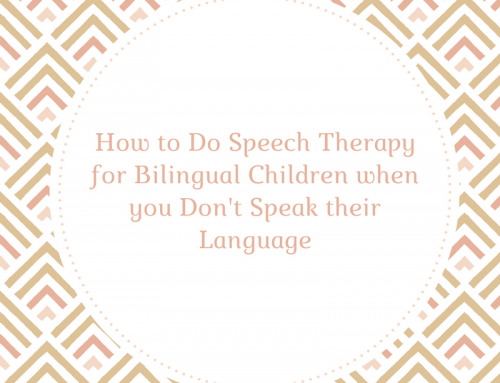 I highly suggest that you speak with a speech-language therapist in your area who can work with your son directly and figure out exactly what is happening. My son is 19 months and has lots of words. He seems to suddenly be repeating everything we say. He does sometimes answers questions with a yes/no but not always in context. If I ask him a question like ‘do you want grapes or apples’ he will always choose the second option even if he wants the first. I know he is still very young but just wanted to know if this is normal at this stage and at what age he should start to grow out of it or if it’s something I should be concerned about? I don’t have specific ages in front of me for when that starts to fade but I believe that is still pretty normal at that age. You should continue to see a nice progression of him starting to answer better and better as he gets older. If not, such as if he regresses a lot, or if he doesn’t start improving, I would suggest speaking with your child’s doctor about it. hi,i have a 4yr old boy he has been repeating word when he was 2yr and half uptill now what can i do?and he loves anything with wheels should i take cars away from him?also,he always crying on little things he does get along with any kids in nursery also doesnt settle down at all at nursery. Hello! It sounds like you have enough concerns that I would recommend speaking with a speech-language pathologist near you who can evaluate him to see what’s going on. Just as a side note, though: taking away something a child loves does not typically improve language skills. It usually just upsets them. That is not a strategy I would try in therapy. Good luck, I hope you get some answers! This is a verh great article and thanks so much for this. My son just turned 3 last month. We’ve noticed that instead of saying Yes or No, saying his name and answer our questions, he just copies it. He likes to say the lines from the movies or tv shows that he likes but he’s doing it with actions like he’s doing a role play or something. But there are also times wherein I ask him like do you want to sleep, he will say “Okkkayyyy” in a tone which means no i dont want to sleep yet. If we ask him what the color of the things are like trucks, bus, etc, he’ll say the colors. He knows his alphabets, numbers and shapes too. There are times when we ask him if he wants a juice or water, sometimes he’ll repeat the question or say this one and points to what he wants. Whenever I ask him to get something or give me something, he’ll do it. His cousin has speech delay and is now 10yrs old. He is being assessed for spectrum because he flaps his arms, tiptoes, etc. Because of this, I am so worried that my son might be the same as his cousin. Please respond.. We just moved to another country and really tight on budget so we can’t afford to bring him yet to a speech pathologist..
Hello! Unfortunately, there is no way for me to know what’s going on with your son. I would need to evaluate him in person in order to know. Your best bet would be to get him to a speech-language pathologist as soon as possible. In the meantime, you can always try some of the strategies from my website to see if anything helps. Sorry you’re having so much trouble! Thank you this article is very helpful. My daughter was doing both of these types. They both have greatly decreased. She is 31/2 but when nervous and in certain social situations they return. Delayed is mostly when playing alone at home and at school. She is having trouble making friends and interacting with her peers past greetings. She has no other issues relating to the spectrum and is able to answer questions normally and spontaneously speak and point out things/reques. I am having her evaluated by the county but if she doesn’t qualify for those services do you recommend a private evaluation? Unfortunately, I can’t say what’s best for your child since I’ve never met her. I would say that if you’re still worried after the evaluation, it never hurts to have a second opinion. hey! how was the eval? I have a similar situation. Thanks!! My son is going to be 5 next month, diagnosed Autism Spectrum Disorder with all the bells and whistles that come with that. He seems so, so smart in so many ways, but he just cannot get the hang of language. He’s been receiving Early Intervention since he was 18 months old, and later on services from an SLP. It took him over a year just to learn to say and sign “more”. He picked up a few more signs shortly after (he always said the word along with the sign) “go” “ball” “open”. The issue is he has NO idea what he’s actually saying. He memorizes the process, how to get what he wants, but he has no clue that these things have meaning. He cycles through the few words he knows, thinking he will hit the right one eventually. For the longest time he would say and sign “moreplease” to everything (he actually modified the “more” and “please” sign into one sign) It’s like he’s TOO smart. He is trying to find pattern, reasons. If he does A, B happens. But language doesn’t really work that way. You can’t memorize the responses to a question, the answers change. We’ve tried PECS, which seemed to work initially, until; we realized he was just memorizing the process. Give card to teacher, get the thing. He didn’t care what card he was handing over, he wanted the thing in the teacher’s hand. We got an Accent 800D with LAMP:Words for Life. He REALLY seemed to take to it, he still repeats the words the device says, but it helps him reach his thoughts a bit better. We really thought he was developing a voice of his own, finally grasping communication concepts. But now over Christmas break I am starting to see that maybe that wasn’t the case. I figured it out last week, as I asked him if he wanted waffles of pancakes.. he said pancakes. I normally ask him if he wants pancakes of waffles. He ALWAYS says waffles. So to test him, I asked again, switching the two.. he repeated the last listed option. I offered him two things he hates, he repeated the last one back (pretty sure he didn’t want green beans for breakfast). He’s been repeating us all along… So much for thinking he was really improving. He’s clever.. he pulled the wool over everyone’s eyes. SLP, special education teacher, preschool teacher.. everyone. I’m really at a loss what we can do to help him. He is just not getting how it works. His receptive language is pretty minimal (he rarely follows one step instructions). He’s been doing well in preschool, but I think he’s been just mimicking the kids around him. One week out of school and he’s falling to pieces. It’s echolalia all day long. Everything is answered with the last word right back at you. He gets frustrated and angry at us, because he just doesn’t know how to tell us what he wants. He still barely identifies things. He can’t name his toys. He knows some farm animals. Few body parts. Cares very little about colors and shapes. He likes numbers and letters. He has memorized how to get onto our computer, to get on Starfall and Youtube. He is SO smart. Language is just a complete mystery to him. Thank you so much for reaching out to me! I’m going to email this response to you as well because I want to make sure you get it. Let me start by saying that I have never worked with your son so I cannot say specifically what is going on with him or what will work best for him. Nothing I’m going to say here is specific to your child, just reflections on the children I’ve worked with that have similar problems. Sometimes, in order to move forward with a child who doesn’t seem to be “getting” language, we have to let go of our ideas of what language development should look like. This is especially true of children with autism. If you listen to Temple Grandin talk at all, you will quickly notice how she describes learning language in a completely different way than we normally expect. I’ve noticed this in children with autism that I’ve worked with. I’ve tried so hard to get them to understand simple single words (This is a table. Say table. What is this? Why won’t you say table??). But that may not be the way that he or she is best able to learn language. That same child will walk into the bathroom and sing a line from Daniel Tiger about stopping to go right away. Was that the kind of language I expect a child to learn to use? No. But it’s what works for him. Children with autism have brains that are wired differently than ours. And the best thing we can do to support that is to let go of any ideas that we have about how language SHOULD work or how he SHOULD be communicating and become excellent observers and analyzers of what they’re already doing. Watch the way he communicates, both with his words and with his actions. Whatever he does, that is his way of telling you “Hey mom, this is how my brain works.” Roll with it. Work with him. Help him develop in the way he’s already developing. Unfortunately, I can’t tell you exactly what that will look like since I don’t know your child. But if he’s using repetitions to communicate with you, then he is telling you that repetition is the best way he has to process what you’re saying and try to communicate back. If you become an excellent observer of his communication and allow it to be whatever it is (instead of trying to force it to fit a mold), you may even begin to notice other patterns or behaviors that will help you figure out what he wants even if he can’t make the words come out in the way that makes the most sense to us. If he’s using echolalia all day long, celebrate it! Support it! Encourage it! Because that’s all he has. And at the same time, give him opportunities to communicate in a lot of different ways and see if you can find other modalities or methods that work better for him. If you want to know what kind of breakfast he wants, what happens if you hold up both the pancake mix and the waffle box and don’t say a sound? Does he indicate any interest? What if you get out play food or pictures? What if you lay out the device and just ask him what he wants? What if you make both? Sometimes we’re surprised at the types of communication we will get. You’re right, he’s probably very smart! And his brain doesn’t process language the same way that ours does. So you may have to think outside the box and observe what he’s already doing to figure out what he’s trying to tell you. It’s not an easy road, but sometimes just a shift in mindset can help. I hope that my message to you in encouraging and not demeaning. I imagine that your son is an amazing individual and he is lucky to have such a caring and engaged mom!! hello! my son is already 3yrs. old. he play with other kid, he has eye contact, he respond when we call his name, he loves to play hide & seek. the only problem is when he doesn’t know the meaning of some words he will repeat it or copy it but when he knows the meaning of some words he will response clearly & not copying the word what you say or ask. what does it mean? is there something i need to concern about it. Hello! I can’t tell you what’s going on with your child since I haven’t worked with him directly. If you’re concerned, I suggest seeking help from a speech-language pathologist in your area or your child’s doctor. Hi Alluka, Even I have similar issues with my 3.5 yrs old kid, I would like to connect with you to share my experiences and see how we can help each other. you can email me at gurukrupasujeet@gmail.com if you would like to. I’ve read through all the comments here, and have to commend you for so selflessly giving your patient ear to others with such great encouraging and informative comments. I’m so glad there are still naturally good hearted and caring individuals out there. My daughter is 3.5 years old. She’s been cleared from the spectrum for now, but has to be reassessed in November as it is sometimes late to develop in girls (they tell me). I thought I would just try changing her diet, so now we are gluten and dairy free. It’s almost week 4 and OMG what a difference! She’s so much sharper and talkative. Do you know if this worked because she is autistic or does it also work for speech and language delays outside of the spectrum. Lastly, currently she is responding to every question with a very exaggerated NO even when it’s something she finds desirable. Then she quickly says YES afterwards. It can get very frustrating. Have you come across this? Thank you in advance. What you’re describing is common when they’re trying to figure it all out and the frustration is actually a good sign because it means she’s starting to realize that she’s not saying what she means (or at least that the outcome is not what she desires). Frustration usually comes before change. Hello!! My son is 33 months now. We are getting the speech therapy. We see and also the therapist says he has lot of vocabulary. He knows all his shapes, colours numbers alphabets. To start with he was so much interested in cars( at 2 yrs) but now he plays with everything. He can answer “what is this questions, points when asked to point and reply.but he doesn’t have lot of functional language. He name all family members. call his name but when asked about what is your name he doesn’t answer. He responds to his name mostly but if too occupied does not. He does lot of echo which we have noticed now, we thought it’s just that he is learning the word. But have realized he gets very confused with Yes and No questions. Repeats if given choices. Rest all motor skills no concerns. We are seeing a developmental neurologist just to get any diagnosis if any. My33 months old son with autism has speech which is largely echolalia. To request, he usually says “Do you want…”? I correct him and say “I want…”. He uses “do you want” for virutally everything like “Do you want finished,Do you want open door, Do you want carry me down”. He however is still struggling with Yes and No questions. He also likes Mr Tumble and scripts it from Morning to Night. This article just showed me it could me stimming. I had never thought of it as such.We are not currently working with any SLP. I will appreciate some guidelines to help with his delayed echolalia and build more functional speech. Just to add, he knows a lot of things from alphabets to numbers ,animals and more. He knows the entire Mother Goose club Nursery Rhymes and he can read 2 to 7 letter words(although i doubt he understands what he reads). If He watches a tv program or listens to something he likes 2ce, He starts to script the entire thing in the right order. The only question he answers correctly is “What are you doing?” We have learnt a lot of verbs as well and he uses his imagination as well. For example, I taught him to say “Carry me” if he wants me to pick him up. I was carrying him and he said “Do you want carry me down?”. I don’t know how to fix the missing pieces. Here is link from our site that may be useful: https://www.speechandlanguagekids.com/echolalia-when-children-repeat-what-you-say/. I miss spelled couple of words up there i am sorry i was using my phone and the page keeps going up and down. I don’t know why and i didnt see what i made mistakes on. What does it mean when your 13 year old only imitates one parent and did not do this when she was younger. She was just diagnosed with aspergers this year. She does this intermittently but has been doing it more often lately. I am Turkish and my husband is Australian and we live in Istanbul. We have a daughter who is going to turn 4 tomorrow. My husband looked after my daughter approximately when she was between 1-3 years old. My husband was working from home and so my daughter spent most of her time watching TV or youtube. We had a bit of isolated life and so she did not have any friends really. When my daughter was 3, I left work and started to teach her Turkish as much as possible. At first, she was so lazy to repeat after me. She could not learn colors but she was making color coordinated shapes with legos very well. I forced her to speak and then she started learning things. Her Turkish was definitely much better than her English. About 2 months ago, she had some rough times. She first started laughing without a reason and then she had seizures together with laughing. And she stopped talking totally. At first she was understanding what I said to her but it looks like that is gone now too. However, today she started repeating words and small sentences after me. But it sounded more like echolalia. She repeated the questions totally. She cannot speak very clearly though after 2 months of total silence. Last weeks, I took her to a psychiatrist and neurologist. They say there is definitely regression and autistic behavior but it might be a result of epilepsy or brain tumor. She is going to have an brain MR in 2 days. And suddenly today she started repeating words but they sound more like echolalia. Do you think it is possible for a almost 4 year old child to forget language because of not speaking for 2 months? If not, there is definitely some brain damage due to her seizures. The article is very informative. Thank you. I have a 4 year old daycare child that repeats everything you say. If i say do you have to go potty? He says do you have to go potty? No matter the question he repeats the whole question and never gives any answer. So how i understand it i ask question and answer the question immediately. So like the cookie yes i want a cookie then give them the cookie and everytime do the same until i fade away my answer right?? Hi Carrie! 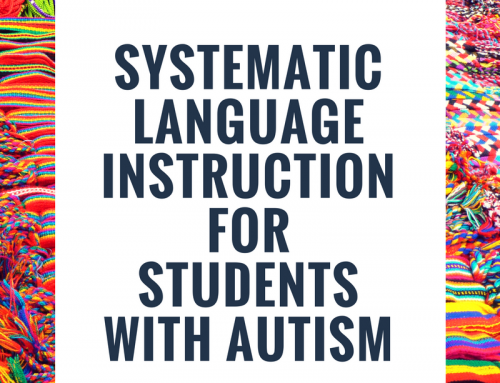 Please see Barry Prizant’s reserach on echolalia and Marge Blanc’s articles and book “Natural Language Aquisition.” I believe this is a big missing piece in your article explaining echolalia. Echolalia communicates! My son is 2 and a half years old and he still uses echolaia. In addition to his delayed speech, he was very clumsy. He was tested at 2 and he didn’t have any issues. The clumsiness has greatly improved since the testing, but the echolaia still concerns me. Alot of his speech is what he has heard before. What else can I do to help him speak more on his own? Do you think he should be tested again? You can check this link for eBooks Carrie is currently selling to see if any would meet your needs. I have a 3yo that echo’s, we are currently bringing him to an assessment clinic to figurer out why the echoing? is he autistic or not? stuff like that. So far he has ben seeing by a Developmental pediatrician and a speech pathologist, the problem is that the pediatrician doesn’t think he is autistic but I have a feeling the the Speech pathologist does’t thing the same. I am so confused, he is sooooo smart academically (I promise I’m not using my mom goggles) but for other things like answering simple questions he is so difficult. I have no idea what to do, any suggestions? My almost 3 years old daughter has some difficulty to speak in the first person. She can ask questions, ask for things, and talk in third person. She actually refers to herself mostly in third person but sometimes also second person (basically repeating what we have told her). She could also talk in terms of “we do this, let’s do that”. So basically plural first person. Every now and then she repeats our question too. Are these signs of Echolalia? Other than this she could make meaningful sometimes multipart sentences. Hi, I have a 6 1/2 yr old son who repeats what we tell him or ask of him. For example, “we are going to breakfast this morning.” He would say “ we are going to breakfast this morning?” Another example, “ We are going fishing” and he’d say “ we’re going fishing?” It started about a year ago I feel, maybe longer. He’s a smart boy and does well in school and reading but has a difficult time thinking for himself. He’s a very anxious child but very kind and happy. Any thoughts? Thank you! My son aged 2.5 years speaks continuous eeeeeeee sound . If he is happy , excited , cranky or crying eeeee is very common … not sure how can this be taken care ? My 4 year old son repeats the question i ask. For example “where is dad” he says “where is dad”. When i ask “who gave this toy” he repeats same instead asnwering. I feel that he has no logic to answer a question. Is it same features of echolalia or he doesn’t know that that was a question i should answer. Please help me to figure this out. Everywhere and anytime he just keep on repeating this word. Even in his sleep when he gets up he repeat this word. I really dnt knw what to do. 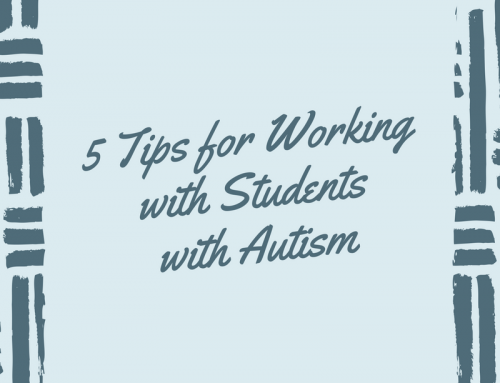 Here is a link to Carrie’s Autism resource page that may have ideas for you to try with your son. Sorry I know it’s old thread. Just wanting some advice my daughter is nearly 3 and has really good speech, her speech is very Clear full sentences but the last couple of weeks she will say my mummy repeatedly, I didn’t think anything of it as I’m her mummy I just agree with her when she says it to me I say ‘yes I’m your mummy’ but now nursery have picked up she is saying it all day just to herself.. is this a sign of anything to worry about? My son 31mths old had hearing loss due to glue ear for aprox 8 or so months. Therefore, his speech and language development is delayed. Just now starting to put words together. He echoes a lot of what we say rather then answering. My question is with his delay would you expect this echoing responses to be normal due to his language development being more like a 18mth old? Is he just going through the normal development stages of language late or is it something I need to look further into? Thanks for your advice. What is it when a child begins repeating what I am saying as I am saying it? For example, ‘here is a cat’ but before I finish she is also saying here is a cat, almost as if we are supposed to be speaking at the same time. This is especially challenging in a testing situation. I am unsure if it is a comprehension strategy or an ingrained habit to give the pretense of paying attention. Weaknesses of attention and focus are a significant issue along with learning abilities and an ASD diagnosis.